Smartphones have come a long way since their inception several years ago. One aspect that remains to impress us is the camera. While people still prefer having professional cameras, smartphone manufacturers are steadily bridging the gap between the two. It’s important, however, to know which smartphone truly offers the best camera and which companies are only using the camera as a marketing gimmick. Selfies or portraits taken from the front facing camera are immensely popular. Not to mention the fact that the front facing camera is also used for video calls, making this a pretty crucial aspect of any modern day smartphone. So which are some of the phones that come with the best front facing camera? Well, there are quite a few, but we’re going to try to list down five of the best front camera phones. You will recognize some of these phones, while there might be a couple of surprises as well. 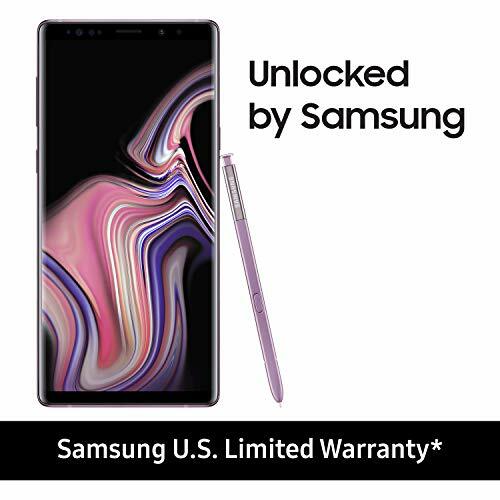 Samsung’s newest smartphone and the second flagship of the year, the Galaxy Note 9 is an exceptional smartphone with all the new features you could expect. It comes with a 6.4-inch 1440 x 2960 Super AMOLED display, coupled with an octa-core Snapdragon 845 SoC, 6GB of RAM, and 128GB of storage (expandable). On the camera front, it packs dual 12-megapixel cameras on the back and an 8-megapixel f/1.7 front camera that can take wide angle selfies and also accommodate for software features like dual-video call, where both the front and back cameras can be run simultaneously. The smartphone packs Android 8.1 Oreo with Samsung’s UI customization on top. This means you can expect some amazing camera features by default, including some specific selfie centric features. This is a prerequisite on most phones in 2018, so we’re not surprised to find such a good camera on the Note 9. This smartphone can be purchased unlocked and off contract on Amazon for $999.99. The device is available in Lavender Purple and Ocean Blue color variants. 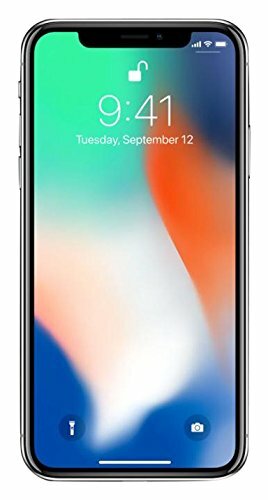 The iPhone X is due an upgrade soon, but that doesn’t take away the fact that it’s an amazing phone and among the best in the market, even a year after its launch. Prominent among its highlight features are the front facing camera which also doubles as part of the Face ID sensor, allowing the user to unlock the iPhone with their face. The camera itself doesn’t need any introduction and it can offer amazing photos even in low light conditions. The front camera, in particular, is capable of some trickery with features like Portrait Lighting. For the first time on an iPhone, you can take professional self portraits using just the front camera. The sensor is a 7-megapixel f/2.2 unit which offers excellent images and videos in low light conditions. However, the rear camera is significantly improved and is likely to impress you more than the selfie camera. The iPhone X runs iOS 11.4.1 with an upgrade to iOS 12 on the horizon. This device can be yours for $915, which is not a big cut from its original price of $999 last year. The Google Pixel 2 is the company’s flagship phone, and a benchmark for how an Android phone should be. It comes with a significantly improved camera over the predecessor while keeping up with the times in terms of raw CPU power and RAM capacity. The phone comes with an 8-megapixel f/2.4 front camera with a 27mm lens for those wide angle selfies. The front camera also has Portrait Mode built-in (but enabled by the latest version of Google Camera), allowing you to take some excellent selfies with auto-generated bokeh effect. However, there’s no depth processing with the front camera, which is only limited to the cameras on the back. Despite this, the front camera captures some beautiful Portrait Mode photos. The camera can also come in handy during video calls thanks to the crisp quality and apps tailored for the hardware (Google Duo). If you’re contemplating the purchase of an Android phone, it’s hard to look past the Pixel 2. Although it might not have the features of some other flagship phones, it does what it does best, and that’s offer a stable and performance oriented smartphone without any of the third-party clutter. The 64GB Pixel 2 can be purchased on Amazon for $759. LG’s 2018 flagship, the G7 ThinQ comes with all the features that you would expect from a high-end smartphone. But somehow, LG’s smartphones keep a low profile on the industry compared to a Samsung or Apple flagship. Despite this, the G7 ThinQ is an excellent flagship alternative with a high-quality front camera that’s suitable for selfies as well as video calls. The smartphone features the notch, which is a trend originally started off by Apple with the iPhone X. There are dual-cameras on the back for professional portrait mode photos. The front camera is an 8-megapixel f/1.9 sensor with a 26mm lens on board, making it ideally suited for wide angle selfies and videos. The G7 ThinQ comes with a 6.1-inch 1440 x 3120 LCD panel and Boom Box speakers. 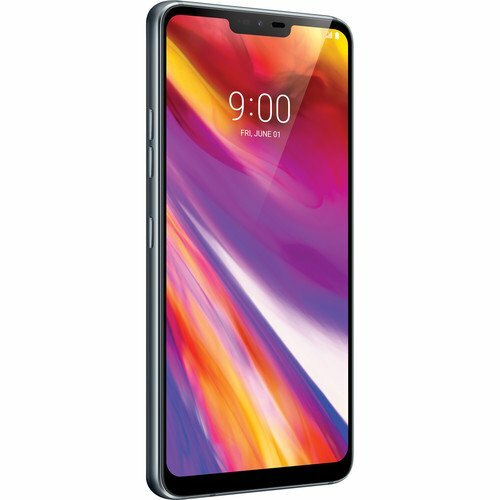 The unlocked version of the LG G7 ThinQ can be purchased for $724.40. Saving the best for the last, the OnePlus 6 is a stellar flagship worthy of everyone’s attention. Each year, OnePlus updates its flagship with features to match that of their rivals. Similarly, in 2018, the company has outdone itself with the OnePlus 6. The handset features a 16-megapixel f/2.0 camera with a 25mm lens on board, offering some amazing self portraits and videos. 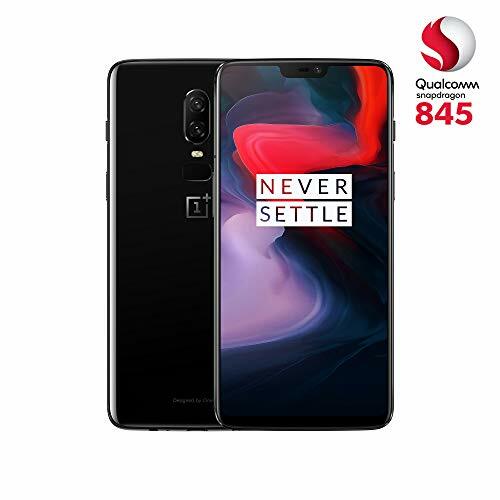 The phone also comes with a 6.28-inch 1080 x 2280 Optic AMOLED display, the quad-core Snapdragon 845 SoC, 6GB of RAM, 128GB of non-expandable storage, and Android 8.1 Oreo (Oxygen OS) with an upgrade to Android 9.0 Pie scheduled for later this year. The OnePlus 6 is on par with pretty much every flagship of the year, with the cameras being the highlight feature of the smartphone. It’s currently available on Amazon for $559.99. Be sure to check it out.